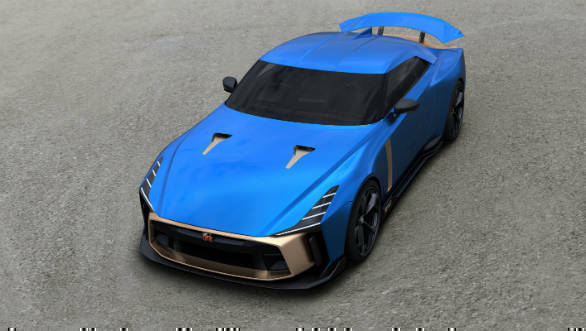 First shown at the Goodwood Festival of Speed earlier this year, Nissan has now confirmed that the production version of the Nissan GT-R50 by Italdesign concept will be put into production in 2019, with the last cars being delivered by 2020. A limited run of 50 cars has been planned and price will comfortably cross the EUR 1 million mark. 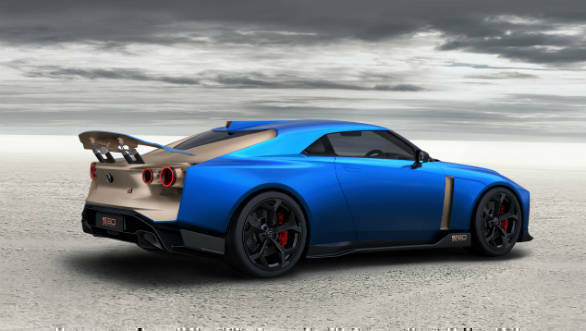 The GT-R50 has been developed to celebrate the 50th anniversary of the GT-R nameplate and the Italdesign studio. The car has been redesigned from the ground up by the Italian design studio while Nissan has heavily fettled with the GT-R Nismo's underpinnings to bring it up to speed for this purpose. 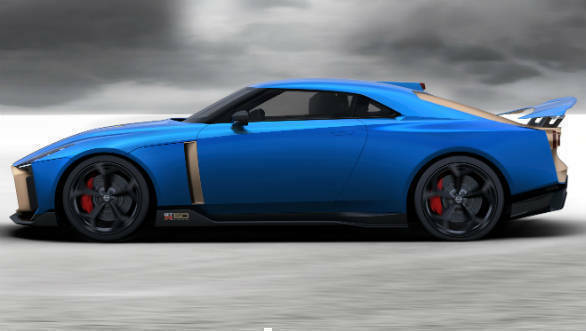 The Nissan GT-R50 comes with a hand-assembled 3.8-liter V6 VR38DETT engine to produce 720PS and 780Nm of torque. Additionally, it gets optimized twin high-flow, large-diameter GT3 competition-spec turbochargers and larger intercoolers. There are heavy-duty crankshaft, pistons, connecting rods and bearings, high-flow piston oil jets; revised camshaft profiles; higher-flow fuel injectors; and optimized ignition, intake and exhaust systems. 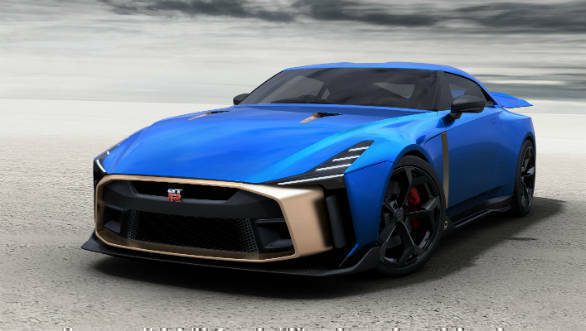 The design of the regular GT-R has also been heavily reworked with the a new grille that is an updated version of the Godzilla's traditional design that we have seen on the GT-R. While purists might like/dislike the new design, it surely looks distinct. The hood has a more pronounced power bulge, and the thin LED headlights stretch from the wheel arch to the lip above the outer cooling intakes. It gets the signature GT-R samurai blade cooling outlets behind the front wheels. The designers have retained the twin round tail lights, an important part of the GT-R's iconic design, but have been restyled with hin light rings and hollow centers. And lastly, the Nissan GT-R50 gets a large, adjustable rear wing, mounted on two uprights. The production spec car gets new, more conventional wing mirrors and gets a new dual-tone paint blue/gold paint scheme. The interior is largely similar to the updated GT-R Nismo's functional set-up but numerous choices are available to buyers when it comes to trim and material, via various packages. There is also a bespoke steering wheel.